We've run thousands of campaigns for cultural institutions and know what it takes to be successful. This post is to help you prioritize. We are now firmly in a mobile-first world. We've been talking about this for a long time and it is now unequivocally here. For most of our clients, traffic from mobile and tablet exceeds traffic from desktop. But many organizations still have sub-optimal mobile-optimized sites that are clunky, not optimized for small screens, and are slow--all of which inhibit sales. 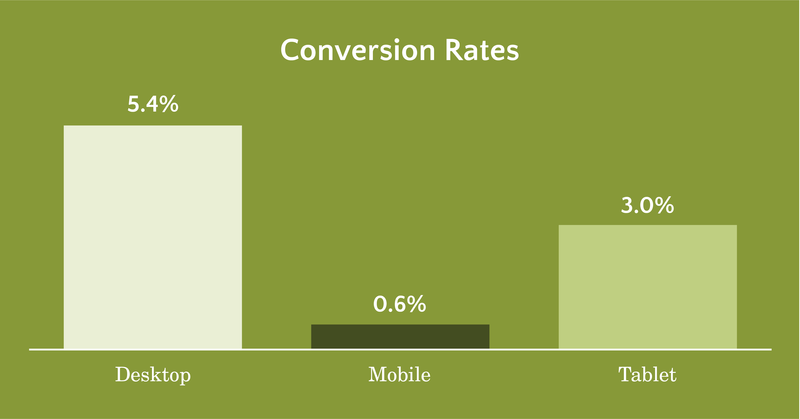 While visits on mobile are up, ecommerce conversion rates on mobile are far lower than those on desktop computers. The first is obvious. Poorly designed/slow mobile experiences hurt conversions. Duh. According to a Google study, mobile sites that loaded in 5 seconds earned almost double the revenue of sites that took 19 seconds to load. 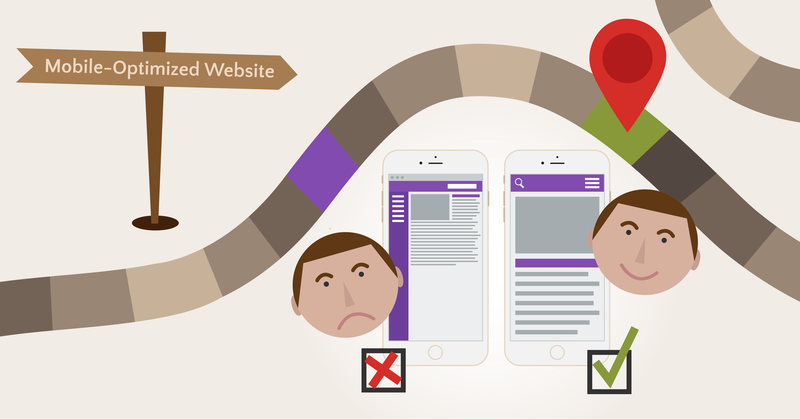 53% of mobile users abandon mobile sites that take longer than 3 seconds to load. According to a study shared with us from Facebook, 49% of people say they would buy more on mobile if it was easier. The second reason for lower conversion rates on mobile is that mobile devices are heavily used as research tools. According to Google, 65% of decisions start on mobile and end on a different device. Today's path-to-purchase is complex and multi-device, with mobile playing a huge part. If your mobile experience is deficient, you will lose people not only on mobile, but also negatively impact the quantity of future visits and sales on desktop. This bears bolding and repeating: if your mobile experience is poor, you will drive down sales on mobile AND on non-mobile channels like desktop computers, on the phone and in-person at the box office. The bottom line is whether people turn to mobile to buy or to get information before heading to the desktop site or box office, it's crucial to show up with a fast and frictionless mobile experience. Want to see how your site measures up? Load your website, hand your phone to someone new, and ask them to buy a ticket. If it takes more than a minute to get to where they add their name, you need to fix it. The best sites take 30 seconds. Check out this video of me buying an airline ticket on Virgin America in 30 seconds. Next time you are in a line, or on public transportation, or in a crowd look around. How many people are scrolling on Facebook or another social network? We are addicted to social media. No matter how you feel about this, the truth is it is now how most people get their news, keep up with their friends and stay connected to the world. And marketers must invest their time and efforts where the eyes and ears are. And those eyes and ears are consuming media far differently now than even a few years ago. 81% of web users have a Facebook account and most check it multiple times a day. One of every five seconds on mobile is spent on Facebook. 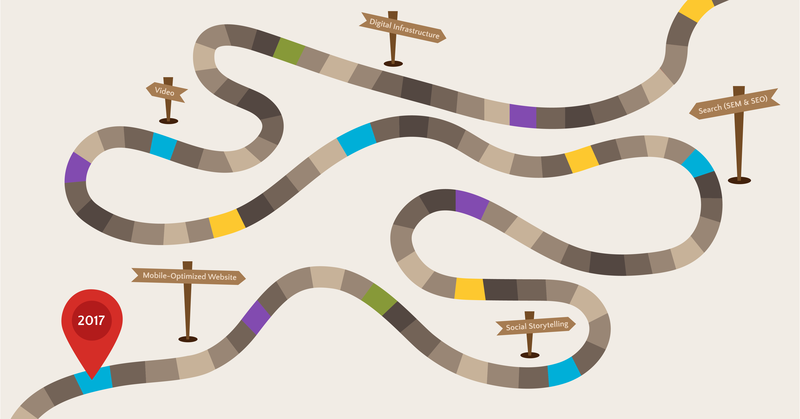 In order to see these results you must prioritize social storytelling. This is very different than running ads on Facebook. This is using Facebook's native storytelling capabilities. 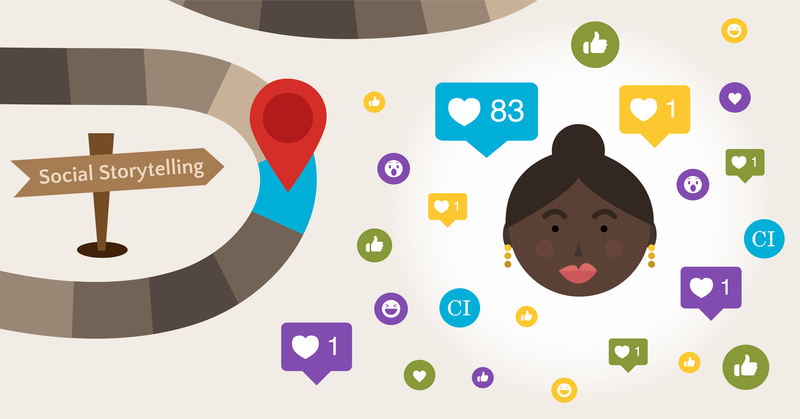 Creating a flow of social posts about your organizations and offerings. Hiring and enabling a strong social storyteller. And spending a large portion of your budget using Facebook's powerful targeting capabilities getting these stories to the best prospects based on behavior, interests, and relationship to your organization. Your organization's homepage is Google.com. How you appear on Search Engine Results Pages for both organic and paid results matters big time. If you are not there when a prospect searches particularly for a non-branded term like "cultural activities for kids" or "holiday arts in my city," you won't even enter their consideration set. Search is a huge indicator of purchase intent. 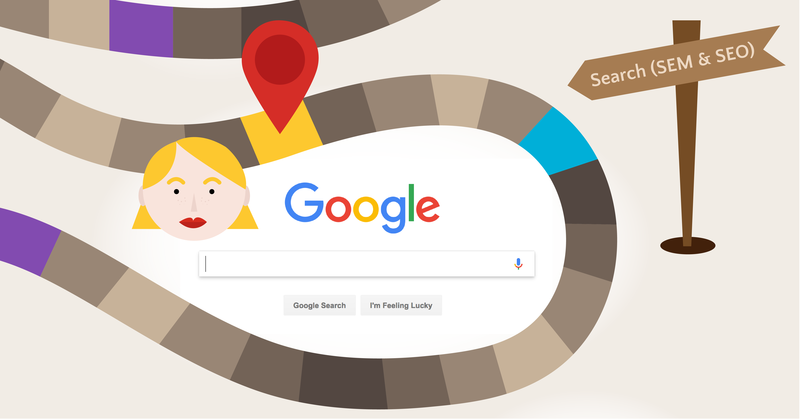 According to Google's “Selling Out: Understanding the Path to Purchase for Performing Arts Tickets,” 77% of people who use a search engine in their research end up buying tickets to a performance. Another study from Google shows that 76% of people who conduct a local search on their smartphone visit a business within 24 hours and 28% of those searches result in a purchase. Also there has been a 26% growth in queries across devices in the Theater & Theater Tickets category, year-over-year. More people are using search to find out information about and purchase tickets to theater events, so the channel's importance continues to grow. On the organic front, we know from our most recent benchmark survey about two-thirds of organizations indicate they put very little effort into their organic search. I think that is a mistake because investment in organic SEO not only improves organic results but also bolsters the effectiveness of paid search efforts. Making paid search less expensive and more efficient. The potential ROI is high, considering the cost and effort to improve your organic efforts is not very high. "The web was built on words. And words, are available to anyone who can type. They're cheap, easy to edit and incredibly powerful when used well. Today's internet is built on video. Much more difficult to create well, and far more impactful when it works." Online video influences behavior. From a survey from Ipsos Media, 45% of respondents said they think more favorably about a show after seeing a video and 68% says seeing a video influences a purchase. According to a study from Liveclicker 88% of retailers saw an increase in conversion when video was added to product pages. Video can drive massive ROI when used in social media campaigns. 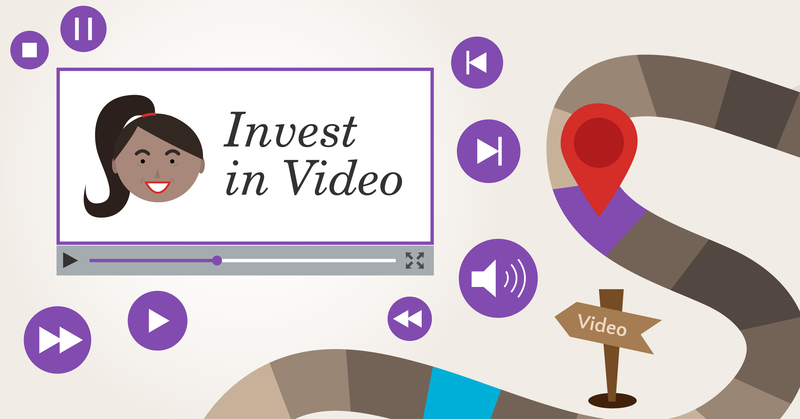 We see stronger returns from campaigns that use well-produced video than those that don't. Many organizations have already prioritized video. According to our benchmark study, about a third of organizations we surveyed are producing more than 20 videos a year. Since our last survey we saw a decrease in the number of organizations producing fewer than five videos a year which is great news. Want inspiration? Check out our favorite marketing videos from last year. To fully take advantage of the power of digital marketing you must have the right infrastructure in place to measure your efforts and fire pixels to target the right people at the right time across the web. That starts with a good implementation of Google Tag Manager (GTM) and Google Analytics (GA). Our most recent survey showed that only 57% of orgs are using GTM. And only around half of organizations are tracking ecommerce data in GA which is required to get the most granular insights. Want to show a specific social post to someone who abandons their cart on your site? Want to be able to target all single ticket buyers from the last year on display when subscriptions go on sale? Want to be able to measure the return of these efforts down to the product level? GTM can help you do all of that and much more. And once implemented it requires little to no tech lift to use. Plus that same data that powers your digital advertising tools can power your Google Analytics making everything more streamlined and efficient. 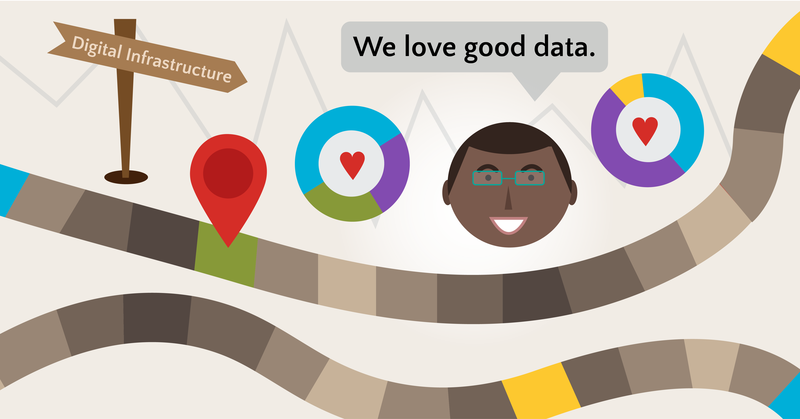 A good Google Analytics implementation is the gateway drug to becoming a digital marketing data junkie. Many organizations are still looking at bad data or incomplete data in their Google Analytics accounts. This does not have to be. If you do not have GTM and GA implemented, or implemented well, you must invest so you can be more sophisticated in your efforts. Ignore the buzz. You have limited time and resources. Don't get distracted spending time or money on things that don't matter. The world needs art now more than ever. Let's work together to connect more people to the important work in your galleries and on your stages. Want to talk with us about how CI can help you use any or all of these tactics better? Contact us. Want more digital real talk? Join our email list for the latest arts marketing blog posts, case studies, and professional development opportunities.